The Lenovo T-series notebooks are legendary. They have long held a reputation as some of the best business notebooks you can buy, but traditionally have always been a big on the big side. However, a few years ago Lenovo introduced the ‘S’ models of the T series, which ditched the optical drives in favour of more portability. Now, with the latest generation, the T440s, Lenovo can offer a T-series Ultrabook that doesn’t compromise on what makes the T-series great – performance, battery life, and a best-in-class typing experience in an extreme durable package. Even though the T440s is an Ultrabook, it continues the ThinkPad tradition of being a monolithic black machine, so if you are looking for something stylish, the T440s might not be the best choice. Nevertheless, we think it looks like it is ready for business, and love its understated looks. The T440s chassis is made from magnesium and carbon fibre, so is light, yet extremely durable due its internal roll-cage and it passes multiple MIL-STD tests. While the T440s does fall within Intel’s specifications for what qualifies as an Ultrabook, it is right on the edge, being just over 2 cm thick and weighing 3.5 lbs, and that is the non-touch version. The touchscreen model is a little thicker and heavier. It is available with either an HD+ (1600 x 900) or FHD (1920 x 1080) screen, with the FHD also being available as a touchscreen. Both 1080p screen options are very bright IPS displays, with accurate colour representation and good viewing angles. The touchscreen also has an anti-glare coating, and while there are still some reflections, it is nowhere near as reflective as some of the glass covered screens on the other touch-enable machines in this list. Lenovo’s ThinkPad keyboards have long been the gold standard for notebook keyboards, and the T440s holds up that tradition with a great backlit and spill-proof keyboard with perfect key size, shape, spacing and travel. 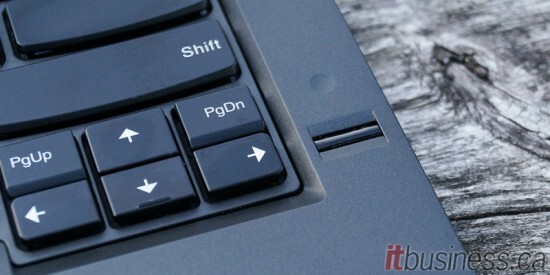 For this year, Lenovo has changed their Touchpad significantly. It has a large smooth surface that provides accurate and precise cursor control, but they have sadly decided to remove the physical mouse buttons above and below, which many long-time ThinkPad users will miss. The classic red ThinkPad TrackPoint is still there for those who prefer it for cursor control, but those users will miss the physical mouse buttons below the space bar designed to be used with it. The T440s’ thicker chassis compared to many of the other notebooks here (apart from the HP 840 G1) gives more room for ports. It has three USB 3.0 ports, an SD card reader, VGA, Ethernet, and a mini DisplayPort. It also has a fingerprint and SmartCard reader. The T440s has full docking capability with a bottom mounted dock connector, and connects to Lenovo’s Basic, Pro or Ultra Dock. The top-end Ultra Dock adds three more USB 3.0, two more DisplayPorts, DVI-D, VGA and HDMI. The T440s has, unfortunately, only one accessible DIMM slot, so the maximum RAM can only be 12 GB (by adding an 8 GB stick) since 4 GB of RAM is built-in. For power, it has a unique twin battery design – there is one 3-cell non-removable battery and also a removable battery. This feature allows you to change the battery without having to shut down the notebook. The standard removable battery that comes with the T440s has 3-cells, but there is also longer lasting 6-cell upgrade that sticks out a little on the bottom and adds some weight. With the standard 3-cell battery, the T440s has been measured to last 7 hours, which is decent, but not as good as some other machines in this list. That being said, if you are OK with the extra weight, swapping to the 6-cell battery can give you up to an amazing 14.5 hours of battery-life. 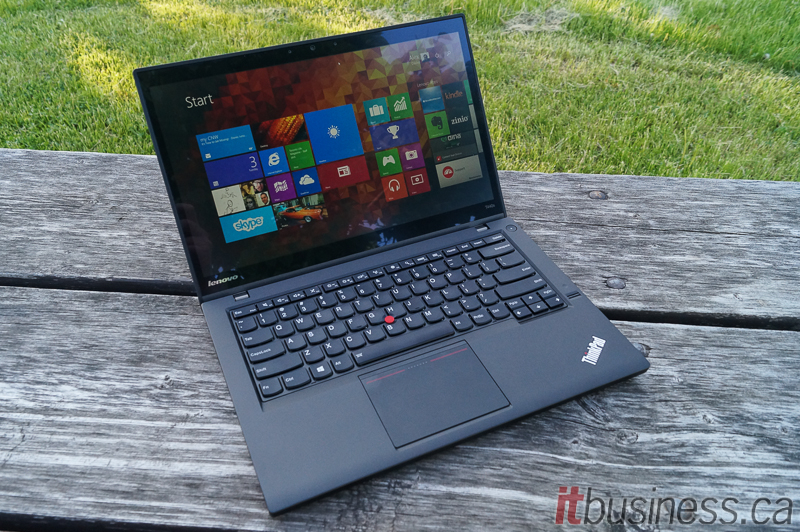 The T440s is a little pricey when compared to its closest competition, the 840 G1. The base model with i5-4200U, 4GB of RAM and a 500 GB HD (not SSD) is $1,250, more than HP’s similarly configured base-model. 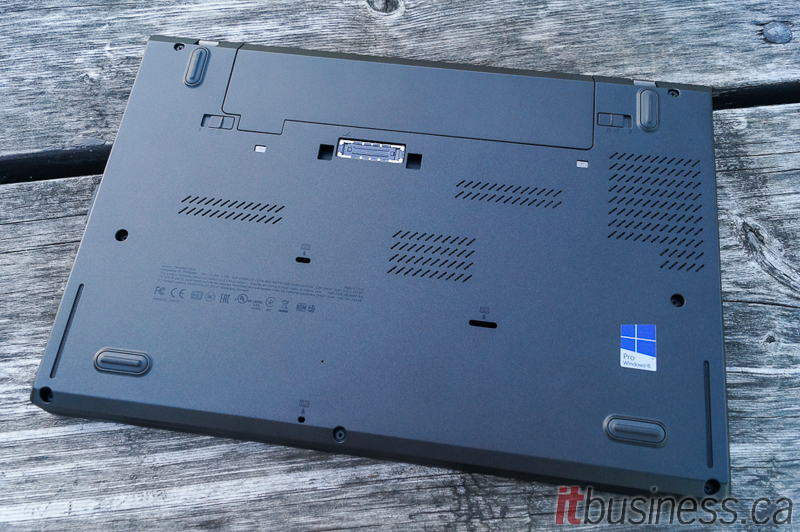 The top-end model is also a little more money than a comparably spec’d machine from HP. Still, the ThinkPad has a lot going for it, namely its almost perfect keyboard, abundance of ports and gorgeous 1080p IPS screen, and it is certainly one of the best notebooks in this list.